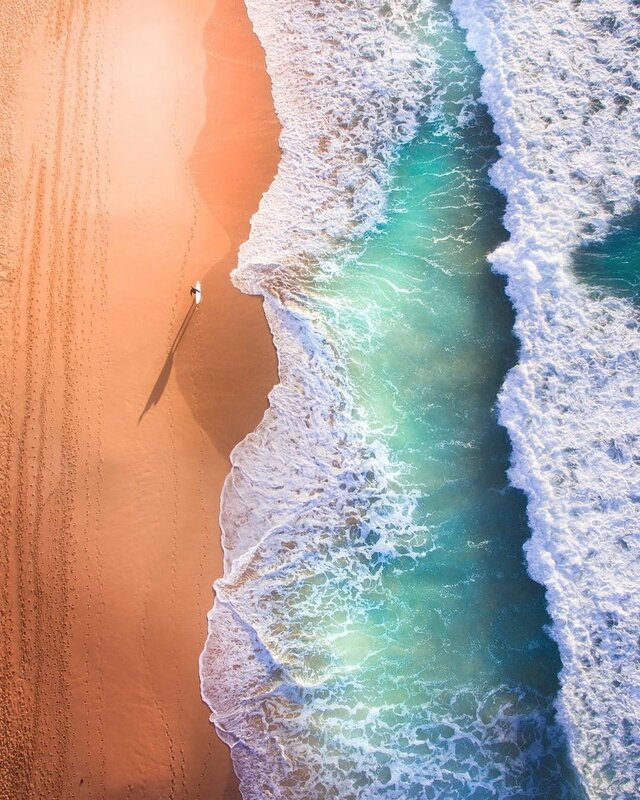 Mona Vale Beach, Australia — Nature | City Co. This oceanside pool space shows up frequently in my Pinterest feed. I even use a drone shot of it as the cover photo for my Water as Art Pin Board, one of my more popular mood board collections on Pinterest, but also one of my favorite pictures of color inspo in a world full of natural wonders! I've re-pinned it on several occasions in its many different forms and shapes to my board. What's not to love about this image, honestly?! It's awes-striking and inspiring, and even at down moments, helps to remind me of all the beauty in life and in this world. It's nature at its best moment; a mix of land and sea, sand and turquoise, to infinity! Now, if only I could find a way to get here, that would be amazing! If you have a chance to check out my shop, my blue ocean surf designs are heavily influenced by finds like these. For me as a photographer and designer when capturing stills of ocean motions, I love how the view can change depending on the currents and tides! It keeps things fresh and introspective for me, both on a professional and personal level. Here's just a few additional shots by Gab Scanu for your amazement.